Flip a Coin. If heads, explode Mutant Creeper, make 100HP Damage and have 40HP left. 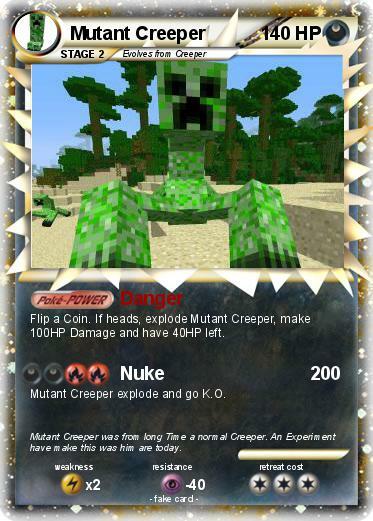 Mutant Creeper explode and go K.O. Comments : Mutant Creeper was from long Time a normal Creeper. An Experiment have make this was him are today.